Searching for your dream home? Look no further, this property has it all! 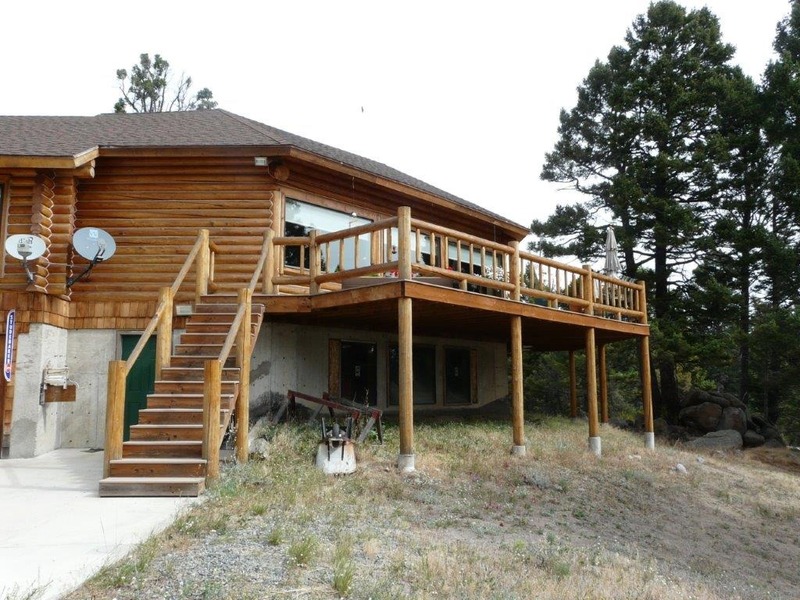 Check out this incredible log home for sale near Helena, Montana. Enjoy amazing views of the Elkhorn Mountains while watching elk, deer, and moose roaming on this 22.19 acre piece of land. Not only is this a peaceful and secluded property but, the home has a fantastic open floor plan that gives it a roomy and comfortable feeling. Inside the home on the 1st level you’ll find 2,376 square feet with 3 bedrooms, and 2 ½ bathrooms and an unbelievable master bathroom! Prepare your imagination as the walkout basement is appx 2,000 additional unfinished square feet that is ready for your dream designs - there is room for more bedrooms or possibly a large theater room and another family room! Don’t worry about where you will store your toys because there is a five car garage; three spaces on the basement level and, two above. Inside the log home you will see vaulted ceilings making the area feel spacious but and cozy. There’s no need to worry about chores around the home since everything you need is right on the main floor; living room, laundry room, dining room, and kitchen all on the main floor! Since the original homeowner put 80% of the work into building this estate there are many special touches, for example the front steps make you feel as if you are entering your own private wilderness castle! When you’re ready to relax there is a jetted tub in the master bathroom that features some pretty amazing mountain views. Enjoy some of the sweetest tasting water right out of your own well, while enjoying the views from huge deck. The activities you are able to do right from your front door are endless. There are hiking trails, wildlife to watch, riding ATV's, tons of recreational fun. Since the Boulder River and the Missouri River are close by you have world class fishing right at your fingertips and Canyon Ferry, Hauser and Holter Lakes are all just a short trip from this property. Keep in mind there are thousands of acres of National Forest that are just a short 4 wheeler ride away, more public land than you could explore in one lifetime! Get all your necessities in Helena, Montana, which is only 25 miles away, while living your dream in Montana. Contact Scott Joyner at 406-223-6039 to schedule your private showing today. Executive home priced at $498,000.